In September, GE and leading healthcare and financial partners launched a new healthymagination initiative focused on accelerating cancer innovation and improving care for 10 million cancer patients around the world by 2020 . 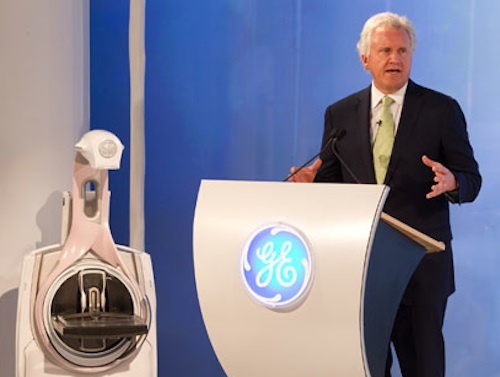 The plan was announced in New York by GE’s CEO and Chairman Jeff Immelt to an audience of prominent cancer scientists and researchers, doctors, financial partners and employees of GE Healthcare. The company’s comprehensive initiative combines the strength of GE’s portfolio of integrated cancer technologies with collaboration between GE and new partners and data sources to help clinicians provide better, more personalized care. A group of researchers led by scientists from the Virginia Bioinformatics Institute (VBI) at Virginia Tech have developed a new technology that detects distinct genetic changes differentiating cancer patients from healthy individuals . The technology is described in a recent study published in the journal Genes, Chromosomes and Cancer and may one day serve as the basis for a cancer predisposition test. The impact of the Patient Protection and Affordable Care Act (PPACA) will be front and center later this week when the Food and Drug Administration (FDA) decides whether to revoke marketing clearance of the cancer drug Avastin for breast malignancies. On one side, you have critics of the FDA accusing them of rationing healthcare while on the other side, you have comparative effectiveness research showing that there’s no statistically meaningful difference in the survival of patients receiving Avastin plus chemotherapy compared to chemotherapy alone. Since 1991, the National Breast Cancer Coalition — an influential disease lobbying organization — has promoted evidence-based medicine and focused its public policy advocacy on legislative priorities that encompass three primary goals: increased funding for breast cancer research, improved access to quality breast cancer care and clinical trials, and expanded influence of breast cancer advocates wherever and whenever breast cancer decisions are made. Last month, the National Breast Cancer Coalition (NBCC) launched the Breast Cancer Deadline 2020 — a call to action for policymakers, researchers, breast cancer advocates and other stakeholders to end the disease by January 1st, 2020. In honor of Breast Cancer Awareness Month, Health Dialog, a leading provider of care management, healthcare analytics and decision support, has made its industry-leading breast cancer decision aid Early Stage Breast Cancer: Choosing Your Surgery available to the general public. As a public service throughout the month of October, Health Dialog is providing access to a series of tools, information and resources about potential treatment options for breast cancer (see below).